Kyiv is abuzz with the news that the editor-in-chief of several popular and controversial media outlets has fled Ukraine and asked for political asylum in Austria. Igor Guzhva justifies his flight as a reaction to politicised criminal cases and the inaction of Ukrainian law enforcement after radical activists threatened his life. He claims that the administration of President Petro Poroshenko sanctions both forms of harassment and is trying to intimidate him into changing the editorial policy at the popular news website, Strana.ua, which he manages. Two weeks after Guzhva left Ukraine, a Kyiv court issued a warrant for his arrest and the government will ask Austria for his rendition. Guzhva’s flight has inspired expressions of concern from the OSCE Representative on Freedom in the Media and the Committee to Protect Journalists. In response, Interior Ministry spokesman Artem Shevchenko voiced a common accusation against Guzhva as a “Russian information agent of influence”. 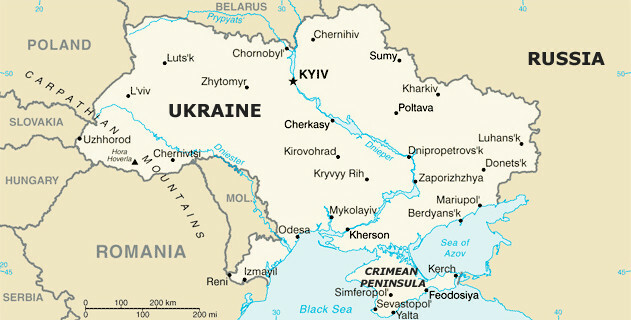 This situation takes place at a time of heightened concern about press freedom in Ukraine, with international observers like Freedom House and the UN human rights monitoring mission raising the alarm about frequent attacks on journalists, the publication of personal information about “suspect” journalists and alleged political and economic pressure on critical media. Indeed, many public officials, media commentators and activists see traces of Russian information warfare narratives in the materials Guzhva publishes and suspect that he is secretly funded by the Kremlin. Both Strana.ua and the newspaper Vesti, where Guzhva was editor-in-chief from 2013 to 2015, are highly partisan outlets that barely conceal their alignment with political forces opposed to Poroshenko and European integration. In 2016, it became known that Vesti’s main sponsor was Alexander Klimenko, an oligarch and former tax minster in the disgraced Viktor Yanukovych administration who fled to Moscow after the revolution. Klimenko’s ambitions for political revanche likely influenced the paper’s tone and became entirely transparent after he forced Guzhva out in 2015. Since then Guzhva has run Strana.ua with anonymous funding and grown it into a very popular outlet with a confrontational attitude towards the government. The site’s alignment with the Opposition Bloc (the political heir to Yanukovych’s Party of Regions) is visible in the sympathetic coverage and large space in the editorial section given to the party’s parliamentarians and consultants. In the past three years, the Ukrainian Security Service (SBU), the Prosecutor General’s office, and the tax authorities have opened five criminal cases against Guzhva. These are aimed at alleged money laundering (with allusions to “Kremlin financing”), incitement to treason in Vesti’s reporting on separatist unrest in the Donbas, demanding hush money to spike a critical story about a Radical Party parliamentarian, and possession of a flash drive containing military secrets. I have described these cases in detail here, but in short, there are concerning gaps in the evidence presented by the authorities. Not a single case has led to a conviction, and the head of Ukraine’s National Union of Journalists characterises them as “selective enforcement” by the authorities with risk of political motivation. Ironically, the case that raises the most serious questions is the one with the least ideological content – the accusation of spiking articles in exchange for money. In July 2017, the Ukrainian Prosecutor General’s office released a video of Guzvha and his alleged go-between with the Radical Party discussing conditions of the deal in May. Guzhva points out that the recorded conversation includes no moment when he agrees to anything, that the proposal to withhold articles was actually voiced by the go-between and that off camera he refused to enter into the deal multiple times, while his attorney Elena Lukash (Justice Minister in the late stages of Yanukovych’s presidency) went further to say the audio in the clip is an edited montage. At the climax of this murky situation in July, the go-between brought a fat envelope to the offices of Strana.ua which Guzhva claims he placed, unopened, in a desk drawer after telling the man to leave. Ten minutes later, police burst in without a warrant and opened the envelope, revealing $10,000. In October, I asked Guzhva why he didn’t just order the uninvited go-between to take the envelope with him, but he did not offer an explanation for this strange decision. This case raises serious questions about journalistic ethics and suggests that dirty bargaining was going on. But the publicly available materials don’t actually show the moment of alleged blackmail that would make the case. Nor do they give credence to the idea that Guzhva is a latent separatist, even though that is the accusation that the increasingly radicalised public dialogue is focused on. Guzhva and his outlets have also been the target of violent words and acts from Ukraine’s far right. In 2014, an extreme nationalist group called Chesne Slovo (Honest Word) took public credit for smashing Vesti’s offices. Later, Praviy Sektor (Right Sector) activists confiscated and destroyed thousands of copies of Vesti, posting a video of the raid on Facebook. Both groups claimed their acts were a warning against treasonous journalists, and no criminal case was opened against either. After Guzhva’s flight to Austria, several politicians made alarming statements regarding the editor. Oleh Lyashko, head of Ukraine’s Radical Party, claimed that as a result of the leaking of military secrets by Strana.ua (the “flash drive” case mentioned above), there were deaths on the Donbas front. According to Svetlana Kryukova, the deputy editor at Strana.ua, this accusation is unprecedented, and in several television interviews Lyashko has declined to offer any particulars. But Lyashko set the tone of rhetorical escalation, a frequent tactic for this well known populist and political showman. Here, Mosiychuk referred to the pro-Russian author and political commentator Oles Buzina, who was murdered outside his Kyiv apartment building in 2015. The main suspects in the killing are far-right nationalists, though the authorities have also spoken of a possible Russian provocation. But Mosiychuk suggests that this was in fact righteous vigilante justice, which should also be unleashed on Guzhva and other suspect journalists. Igor Guzvha’s case has created two widely divergent poles in media and political elites with only a small number of figures bridging the gap. But several figures whose ideology differs strongly from Guzhva’s have come to defend him on principle. Serhiy Tomilenko, a liberal journalist and the president of the Ukrainian National Journalists Union, told me that “we can’t ignore the rights of media with controversial editorial policies even if we don’t agree with their content.” The prominent Euro-optimist parliamentarian Serhiy Leschenko of the Petro Poroshenko Bloc insinuated in 2014 that Guzvha himself could have staged the attack on the Vesti office, but by 2017 he wrote that the situation surrounding the editor’s arrest “stinks”. Guzhva told me that he chose to seek asylum in Austria after confidential sources in the Prosecutor General’s Office, the courts, the presidential administration and the SBU told him that an order had been issued to convict him on as many charges as possible. In his version, such pressure is possible because the sweeping judicial reforms pushed by Poroshenko have “put judges on the president’s hook” and reduced their independence. There is, of course, an alternative explanation: the government has a real case against Guzvha and he knows it. If this is true, then his public accusations of judicial corruption could be a preemptive strike to discredit the government’s attempts to bring him to justice. If this is so, the Ukrainian government must convincingly make its case to the public. It is not as if state organs have been reluctant to release materials from the ongoing investigations. Quite the opposite: they have distributed them enthusiastically, such as the video of Guzhva from the blackmail case that the Prosecutor General posted on Facebook.